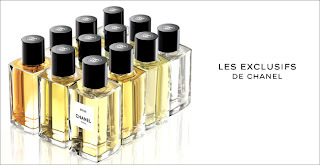 Chanel launches Les Exclusifs in handbag friendly size. Beige’s smooth sharp sweetness wafts over you on application. Chanel’s byword is its distinction and its archetypal class with a Capital C, just like the double linked C logo. The last fragrance launched in Les Exclusifs de Chanel series in 2008, Beige, was worth the wait. So why the review now? Good question ladies and gentleman. Les Exclusifs de Chanel have realised that there’s a market for handbag sized bottles of ELes xclusifs so are releasing 75ml bottles of the collection at £100, including Gardenia, No 22, Cuir de Russie, Coromandel, 28 La Pausa, Sycomore and Beige, of course, to name a few. It’s an odd name, Beige. Always associated with bland and the norm. So indistinct and the purveyor of middle of the road’ness, it seems an affront to foist our modern notions of beige onto this delightful scent. Conservative with a small ‘C’ and with no hint of ConDemnation to it, it’s sharp, sweet, honeyed peppery fullness pleases. It slithers like smooth ,treacley, steeped in sophistication. Beige hits your nose throughout the day, confusing you whether it’s floral or denser woody and full, depending on the angle and the hour. It is said that it’s a “bouquet of hawthorn, freesia and frangipani, with shimmering hints of honey” and a “stunning blend of white petals and yellow gold” but it’s beauty is it’s allure (to use another Chanel’ism) and it’s ability to alter. Just when you think she’s gone, you catch a glimpse of her again, fleeting, but nevertheless, distinct, pure and subtle, she catches your breathe. It says something of her staying power too, that Beige remains with you to the end. An elegant, discreet vision despite being Beige. Les Exclusifs de Chanel in 75ml form are available exclusively in Chanel Boutiques and Selfridges, W1 from 4th February 2011. Next post: Tory Burch store opens in New Bond Street.